PHILA LOCKSMITH SERVICE - Reliable and Honest local locksmith service! Are you locked out of your home or office? Not able to find the car keys? lost your padlock keys? Sometimes it happens that you might misplace your keys somewhere in a rush and the only way you can get into your house, car or office is the key which you lost. In such a situation do not panic as Phila Locksmith service representatives can be found easily anywhere, anytime. This is our most popular department that handles all the inquiries from car keys to security. Phila Locksmith Service is a professional locksmith company which tries hard to serve its customers those who are looking to get their cars unlocked, replacement car keys and repairing their ignitions. Such type of situation is very frustrating, particularly, when you are getting late to reach somewhere. Our main aim is to deal with such situation and deliver immediate solutions. Here is the right place for it. Business owners want their property to be safe and secured and hence they know the importance of locks and other security systems. The best way to make your property secure is to choose a high quality locking system. 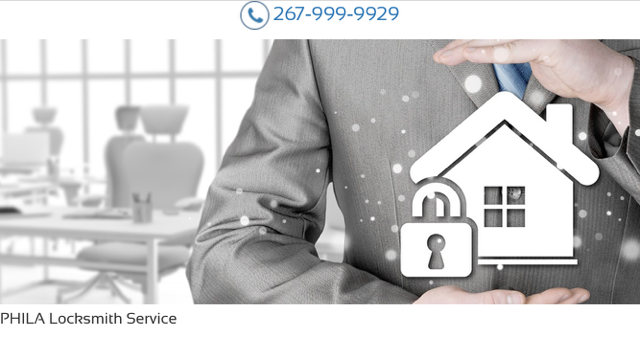 Phila Locksmith Service will give complete security to your commercial property with long-lasting locking systems. We called because something was wrong with our bottom lock. Mario came and was very professional, personable, and HONEST. He corrected the problem. I would give them the top rating and call them again if needed.